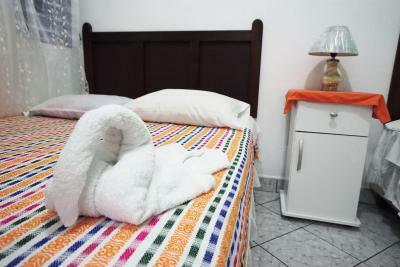 Lock in a great price for Hotel y Restaurante Las Gardenias – rated 8 by recent guests! Very helpful and friendly receptionist. Convenient arrangement of buses for onward travel. Basic and adequate room, good shower. 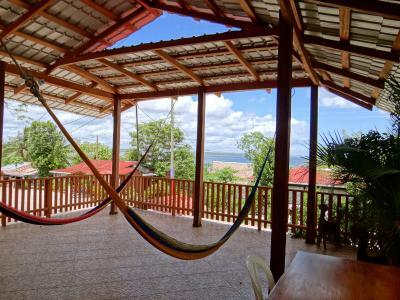 Great spot to stay in El Remate and super close to Tikal. Friendly staff, air conditioned rooms and free breakfast. We enjoyed our stay here. The staff at Las Gardenias are so accommodating. It was so easy to book to see Tikal and to travel onwards to other destinations from the hotel as staff handled it all. The restaurant was wonderful and food was fairly priced. The lake is just across the road and absolutely stunning! 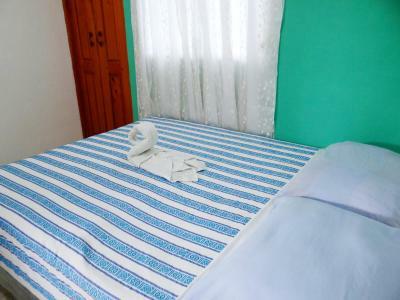 Location in el remate is convenient to go to Tikal, hotel also does tour bookings and is helpful. Vriendelijk personeel, behulpzaam. Goede trips en vervoer te regelen vanuit hotel. Nos dieron piezas en un anexo del hotel que no da a la carretera, por esto tuvimos noches muy tranquilos. Todos los días limpiaron las piezas, el personal en general muy atento. Al lado del hotel hay un pequeño supermercado (pertenece al hotel). No pudimos llegar la primera noche y fueron muy amables y no nos cobraron la penalidad completa. El sitio es bonito lleno de plantas ornamentales y la atención es buena. Das Personal ist äußerst hilfsbereit und kann souveräne Touren organisieren. Die Lage so bahe am See ist super und man kommt schnell nach Tikal und auch zur Weiterreise Richtung Belize oder Mexiko. Kann alles über das Hotel zum gleichen Preis wie in Flores gebucht werden. Ein wirklich faires Preis-Leistungs-Verhältnis. Mir wurden im Vorfeld schon viele Fragen per Chat beantwortet. 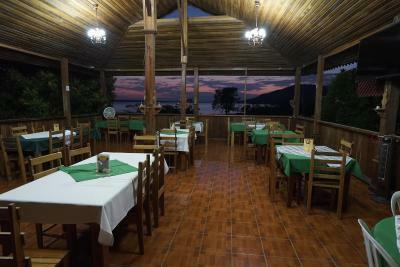 Das Restaurant ist ok.
Hotel y Restaurante Las Gardenias This rating is a reflection of how the property compares to the industry standard when it comes to price, facilities and services available. It's based on a self-evaluation by the property. Use this rating to help choose your stay! 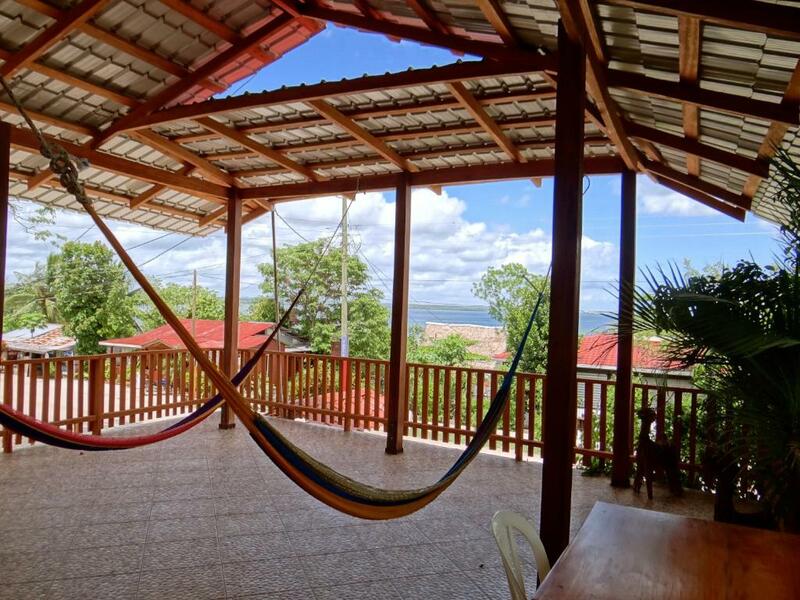 Hotel y Restaurante Las Gardenias is located in El Remate, just 350 feet from the beautiful turquoise waters of Lake Peten Itza. It offers an on-site restaurant and lush gardens. 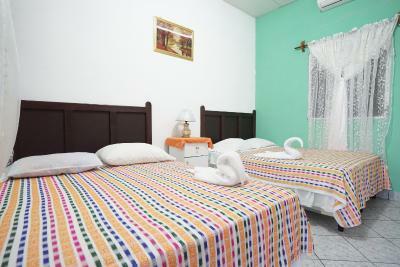 Each air-conditioned room here features bright décor, with tiled floors and a private bathroom. Overlooking the gardens, they also include a cable TV and a desk. Local and international cuisine is served at the hotel’s restaurant, and other options can be found within a 5-minute walk. The Cerro Cahui mountain is 1.2 mi away, while the Tikal archaeological site can be reached in 20 minutes by car. The property offers free parking. 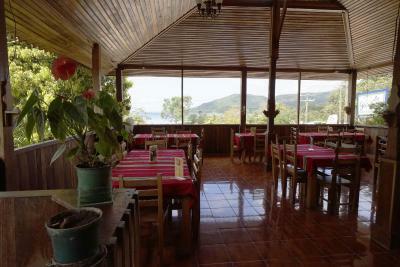 When would you like to stay at Hotel y Restaurante Las Gardenias? This room is air-conditioned and features a wardrobe, a seating area and a cable TV. It has a private bathroom with a shower, toilet and hot water. This single room features air conditioning, seating area and cable TV. House Rules Hotel y Restaurante Las Gardenias takes special requests – add in the next step! Cash Hotel y Restaurante Las Gardenias accepts these cards and reserves the right to temporarily hold an amount prior to arrival. Hotel y Restaurante Las Gardenias accepts these cards and reserves the right to temporarily hold an amount prior to arrival. Please note that the reception is close from 21:00 until 9:00. The bathroom had little bugs around the sink! Not enough towels (one given for a 2 person bedroom). Little furniture or space to store clothing. Quite noisy. Was all ok. Glad to find new mattress!